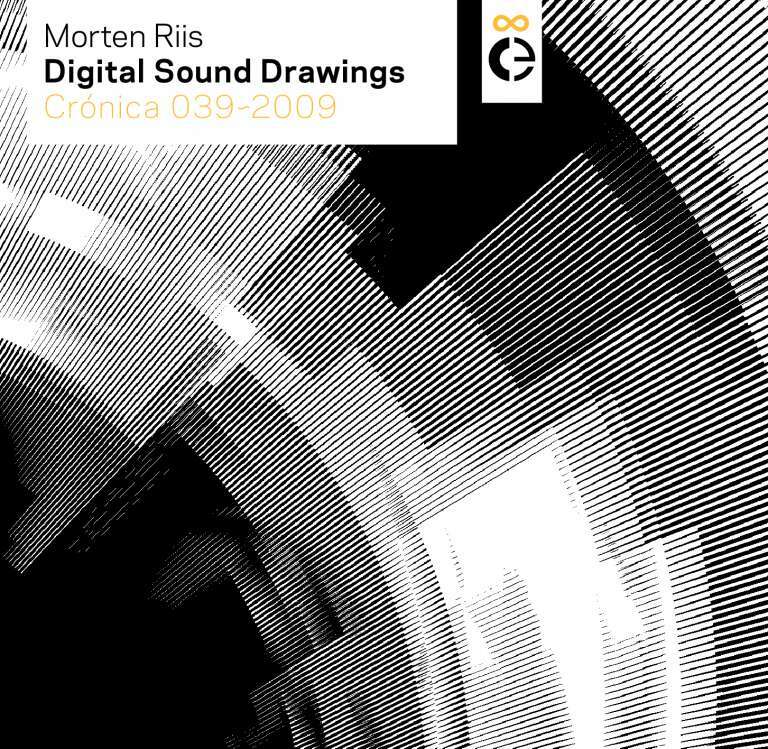 Digital Sound Drawings, by danish composer Morten Riis, is a collection of 6 pieces composed through the drawing of images and their direct conversion into sound. By literally drawing sounds, Morten Riis presents us carefully hand-crafted pieces that are in reality audiovisual creations, due to the great care that was put on composing not only the sound but also the visual appearance of their waveforms. This release is distributed as 24 bit 44.1 KHz AIFF files, and the listener is encouraged to use a wave editor when listening to the tracks, watching the waveforms as they play. In the recent years the tendency in music software has been to facilitate usage, including more and more pre-made presets and sound banks to work from. Consequently, more and more of the actual sound creation has shifted from the composers’ hand to the music software programmers’. For me it has been become more and more uninteresting to use music software to create music because you have to go a long way to push the software to its limits before you get satisfying results. That’s why I started to use other not-music-specific software to create my music. When you work with this type of “data bending” you achieve a closer relation to how the computer actually handles data, you work more “under the hood” of the computer, and you must be able to understand how the different bits and bytes work in the computer, in order to get what you want. That’s why I chose to draw my sound material in an image editor. Working in that way you have control over each sample, you work in an environment where the standard music terms do not exist, and thereby force your mind to think outside the box of musical conventions. With Digital Sound Drawings, Crónica presents the fourth release in the Limited Series of original artworks. The Limited counterpart to Digital Sound Drawings is Conical, a certified signed and numbered limited edition of ten 40 x 40 cm archival inkjet prints by Marius Watz.